The Carpenter's Ministry Toolbox: FUNDRAISER: Ever go to a great swap? FUNDRAISER: Ever go to a great swap? Lots of people have yard sales or garage sales as fundraisers, but why not try something a little different. Try a SWAP! The most common swap is for clothes because kids grow out of their clothes and women get bored of theirs. A clothes swap works very much like a yard sale. People donate any clothes they want to get rid of, but of course, they need to be in good shape. If you have a lot of donations visitors pay $10 or $20 for a paper shopping bag at the door and can fill the shopping bag with whatever they like. That's it! 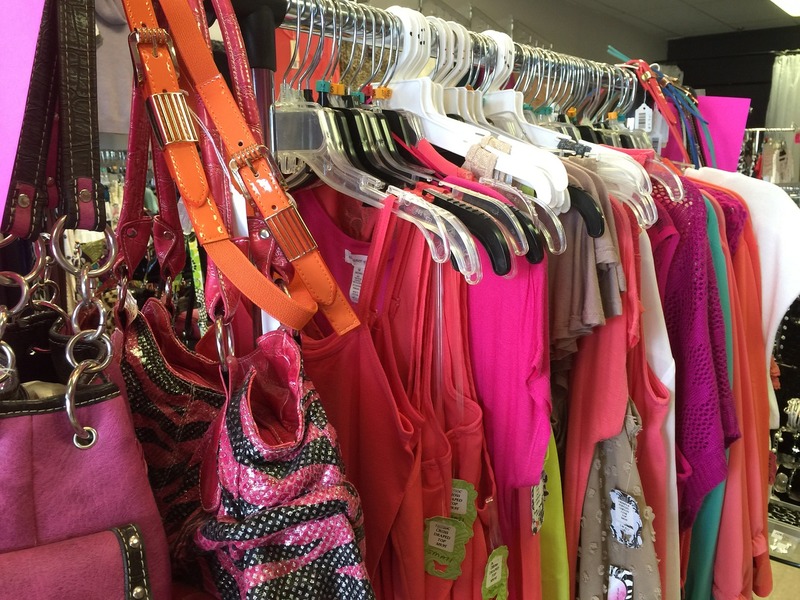 People get gently used clothes for their kids or whatever else they need for a great price! Make sure everybody knows they can give an unspecified donation as well. It's a great idea for uptrading school uniforms too. Another option is that for every item you bring, you receive a ticket and for every ticket you get to take one item home. If you bring 5 items you get 5 "free" or non-bagged items and then your bag. That way those who bring items get a bonus. Don't accept any underwear or bathing suits. Ick! Nobody wants those used. Be sure to donate all the leftover clothing to a women's shelter before you give it to Goodwill or the Salvation Army. They're often overlooked. You can have people shop as they come or have everybody come at the same time. You can let people browse first before shopping begins, or, if there's a large crowd, hand out playing cards or numbers and have somebody randomly pick a card to see who gets to shop first. If a Queen is picked, all the people who are holding a Queen get to shop first, randomly pick again for the next round, etc. If you have a fun crowd you could also do it as a timed game where the Queens get to shop for 5 or 10 minutes and then another group gets to go in for the next 5 or 10. Each group gets their time until the Queens get to go again. You could have a bake sale at the same time or just provide a little coffee and a few baked goods for people in between rounds. An Accessory Swap works the same way except that for this one you have shoes (always clean and in good shape), belts, purses, tote bags, hats, scarves, jewelry, gloves, ties, etc. All hair accessories need to be clean. You might choose smaller bags for these items too. You can do the same thing for a book swap, but instead of a whole bag of books, perhaps people get 5-7 books for $10 or whatever you think is appropriate. It's a great way to transfer children's books from one family to another! I would love to have a Christmas decoration swap. I have tons of Christmas decorations that are perfectly beautiful, but I'm tired of them. I bet other people feel the same way about some of theirs! At this one you could also sell or swap Christmas cookies and candy or other treats. There are SO many options. You could even have a MEGA SWAP and do it all at the same time!